Pressure is mounting on Hungary over legislation that targets the Soros-founded Central European University (CEU) in Budapest, with MEPs calling for an EU probe into Hungary on Wednesday (5 April). Leading MEPs representing major political parties in the European Parliament told a press conference in Strasbourg that they want to see the EU launch disciplinary proceedings against prime minister Viktor Orban's Hungary. 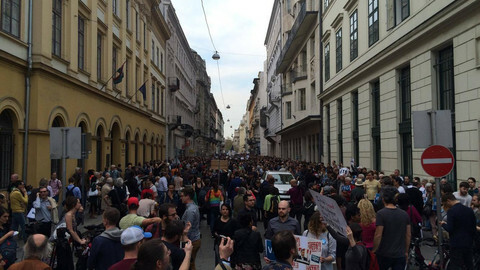 "Orban's actions against the Central European University are an attack on knowledge and democracy. Europe must respond firmly and decisively," said Gianni Pitella, leader of the Socialist group in the parliament. 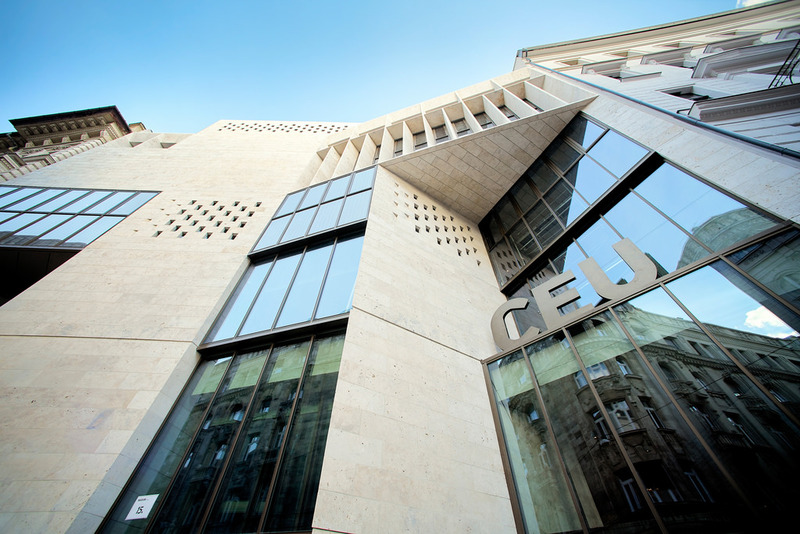 There has been an international outcry since the Hungarian parliament passed a law on Tuesday that would eventually close down the Central European University (CEU) in Budapest. MEPs called for the launching the Article 7 procedure, which could be triggered by the European Parliament, and would allow the Council of the EU to establish that there is a risk that a member state is violating fundamental rights, and could give a warning to the EU country concerned. Hungary's government has already faced such calls in recent years over alleged breaches of fundamental rights and values. The key has always been the centre-right European People's Party (EPP), to which Orban's ruling Fidesz party belongs. The EPP has been reluctant to sideline Fidesz, which commends an overwhelming majority in the Hungarian parliament and faces only a weak and divided opposition. 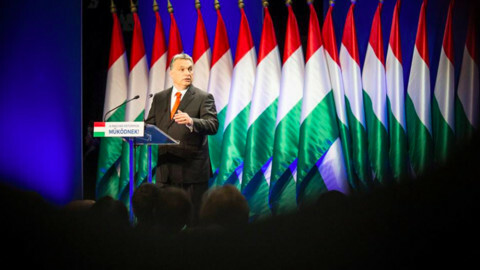 Only last week at the EPP Congress in Malta , Orban expressed a more nationalistic, protectionist version of EPP ideas, quite opposed to the German chancellor Angela Merkel's more open and European-centred policies. The EPP group in the European Parliament has also been divided over Fidesz in recent years, but Orban's people in Strasbourg have so far managed to keep the party on their side during previous calls for the Article 7 procedure. On Wednesday evening the EPP group discussed the issue of CEU. Manfred Weber, the leader of the group tweeted that "freedom of thinking, research and speech are essential for our European identity" and that the EPP would "defend this at any cost." Weber, who had a phone conversation with CEU rector Michael Ignatieff on Wednesday, did not disclose what "any cost" would entail. Weber, who refrained from calling outright for the Article 7 procedure, "demanded" that the European Commission assesses the new Hungarian legislation. "EU needs an independent serious evaluation rather than party political debates," he said. "Once the @EU_Commission has come to an assessment, we expect the Hungarian Government to comply with it," Weber tweeted. EPP president Joseph Daul, who often says that Orban is the party's "enfant terrible", echoed calls for a commission investigation. But there is little the commission can do, since it has very limited oversight on educational matters, and has also lacked political willingness in the past to challenge Hungary on controversial legislation. Commission spokesman Alexander Winterstein said on Wednesday that the EU executive will "analyse the law" on the recommendation of vice-president Frans Timmermans. But he added that it does not amount to an official procedure against Hungary. He said the college of commissioners will have its first official discussion on CEU next week. In fact, the issue has already raised by Timmermans in last week's college meeting, with education commissioner and former Hungarian deputy prime minister Tibor Navracsics explaining the reasons behind the legislation. 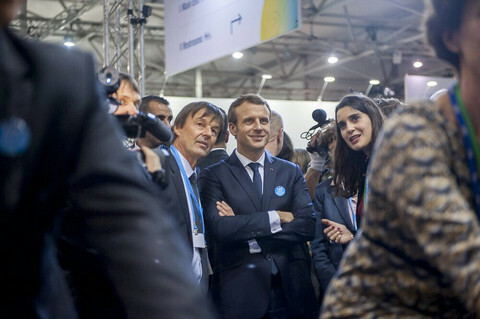 On Wednesday, the commissioner responsible for research, science and innovation, Carlos Moedas, put out a statement saying he was "deeply concerned" about the legislation. "As a member of the European Union, Hungary has committed to uphold the common values of the EU, including the safeguarding of education. 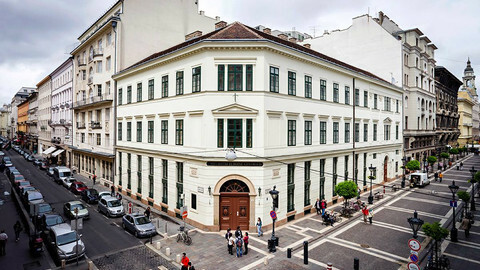 My concern is that this development may set an unwelcome precedent for the autonomy of academic institutions in Hungary," he said. 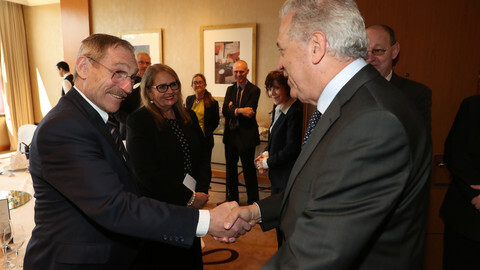 Moedas also recalled that CEU, as a regional educational leader, has received 12 European Research Council (ERC) grants. However, even if the commission finds legal grounds to force Hungary into amending the legislation concerning CEU, it would be very reluctant to single out any member state when the EU-27 need unity more than ever ahead of the Brexit talks. In the meantime, a "national consultation" is under way in Hungary entitled "Let's stop Brussels! ", in which 8 million voters are asked about various issues where the EU allegedly wants to force Hungary into submission, from asylum to energy issues. An EU probe could be used by Orban to turn the mood further against "Brussels" to gain political capital, and warn EU decision-makers that any attempt to "discipline" Hungary would backfire and result in a strong anti-EU sentiment during his consultation drive. Besides the numerous expression of concern from the world of academia, on Wednesday the German government also warned Hungary against threatening to shut down the university founded by George Soros. 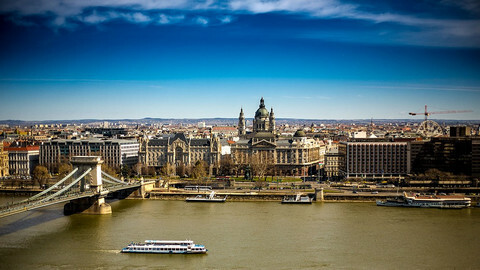 The legislation "raises the impression" that the operation of foreign universities in Hungary will be made difficult, "or in individual cases impossible," German chancellor Angela Merkel’s deputy spokeswoman, Ulrike Demmer, said. "Freedom, democracy, rule of law and human rights are not up for debate in Europe," Demmer told reporters in Berlin. "Germany will observe very closely the effects of this law on higher education in Hungary," she added. Hungarian spokesperson Zoltan Kovacs, himself a CEU graduate, fired back according to the MTI news wire by saying the Hungarian government regrets that the "lies of George Soros can mislead even the German government". Orban, who has centralised power in Hungary in an unprecedented way of curbing checks and balances and the rule of law, regularly accuses Hungarian-born billionaire George Soros of trying to undermine him. On Wednesday, Orban's Fidesz party said it would present a bill to parliament soon that requires NGOs with a foreign income of 7.2 million forints (€ 23,000) to register with authorities. "Support from unknown foreign sources could allow foreign interest groups to pursue their own interests via the influence of these (NGOs) in Hungary ... which threatens the country's political and economic interests," the bill was quoted as saying by Reuters. 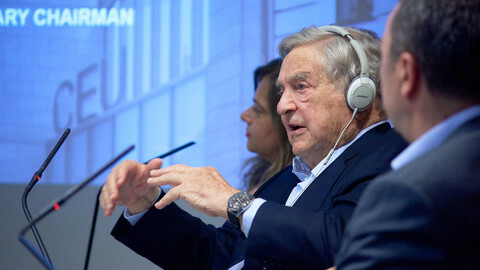 NGOs, many of which receive grants from George Soros' Open Society Foundation, often speak up for press freedom, and defend the rights of asylum-seekers, a group that has been targeted by Orban's government with various restrictive measures. Commission is withholding action on Hungary's detention of asylum seekers, even as the Hungarian government tries to "stop Brussels" on immigration policy. In a world with many new phrases like 'fake news' or 'alternative facts', Viktor Orban's government in Hungary is taking a more familiar approach to shutting down academic free expression in Hungary.